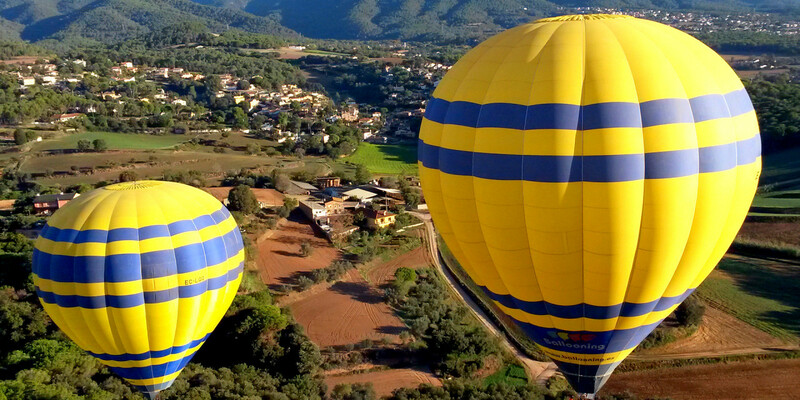 Set out on a two-hour balloon adventure over the unique Montserrat mountain, the striking waterfalls of Prats de Llucanes, and so much more. Maximum number per group is 6, minimum is 2. Start times differ according to season/month. They are between 6:00 a.m. and 7:30 a.m. Please see the meeting time schedule below - Need to Know (other). Your exact launch site will be confirmed 24-48 hours before the flight. This tour is not advised for pregnant women. If you are over 100 kg (220 lbs), please inform us in advance. This tour is available in English, Spanish, and French. Phones, cameras, snacks and other small necessities are allowed on the flight. If possible, please provide an alternative date at moment of booking. If the scheduled flight is cancelled due to weather, it can be rescheduled easily on the alternative date provided. Jan 1 - Feb 15 : 7:30 a.m.
Feb 16 - March 15 : 7:00 a.m.
March 16 - March 25 : 6:30 a.m.
March 26 - April 15 : 7:00 a.m.
April 16 - May 1 : 6:30 a.m.
May 2 - Sep 1 : 6:00 a.m.
Sep 2 - Oct 1 : 6:30 a.m.
Oct 2 - Oct 28 : 7:00 a.m.
Oct 29 - Nov 15 : 6:30 a.m.
Nov 16 - Dec 15 : 7:00 a.m.
Dec 16 - Dec 31 : 7:30 a.m. If cancelled due to poor weather, customer will be given the option of an alternative date or full refund. The excursion may be cancelled up to 7 days prior to carrying out the service for free. Cancellations from 7 days to 72 hours in advance result in a 50% charge. For cancellations less than 72 hours in advance, the charge will be 100%. 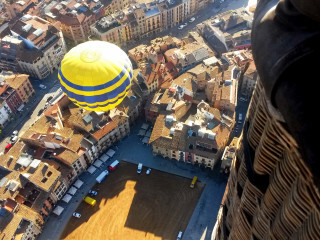 You will see our "Ballooning" van parked out front. Pickup is also available from specific hotels. Please contact us to see if yours applies. To meet directly at launch site, we provide location & directions 24 hours in advance, when it is decided according to weather conditions. 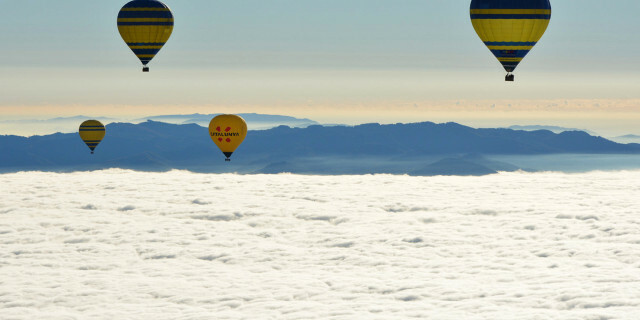 What's better than the typical hour-long balloon ride? Flying through the clouds twice as long! 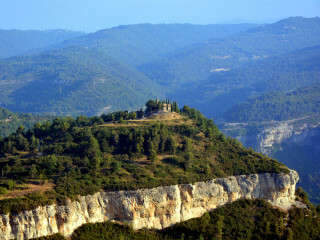 Discover stunning landscapes on this extended, two-hour journey over the vast Catalonian countryside. Our day begins with a sunrise pickup that takes us to the launch point, where the pilot explains how he directs the balloon by navigating the wind. The small crew lets us help prepare the balloon, filling the “envelope” with heated air. We then climb into the wicker basket, and up we go! Each panoramic view offers something different as the pilot slowly takes us to our maximum elevation of about 1,000 m (3,200 ft). Below us, the broad plateaus of Pla de Busa meet sharp cliffs, with slopes of more than 300 m (984 ft). 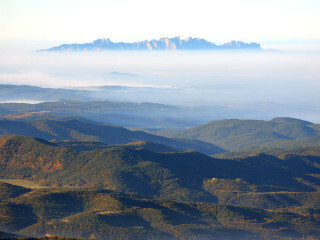 We float over dramatic peaks and waterfalls of the Pyrenees Mountains, and the “serrated (jagged) mountain” Montserrat, formed 45 million years ago. We move ahead, passing over cities like the unique Manresa. Located in the center of Catalonia, it is beautifully arranged around the basilica of Santa maria de la Seu. 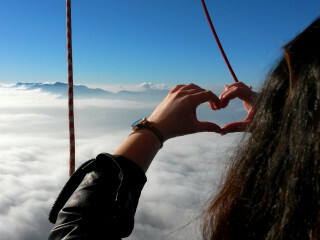 More than anything, a balloon ride is a calming adventure. We land feeling refreshed, and a bit hungry. Perfect time for a delicious brunch and Cava, a traditional sparkling wine, which we have at a local restaurant. Before we return you to your hotel, everyone receives a flight certificate signed by the pilot as a sweet memory of your day in the sky. 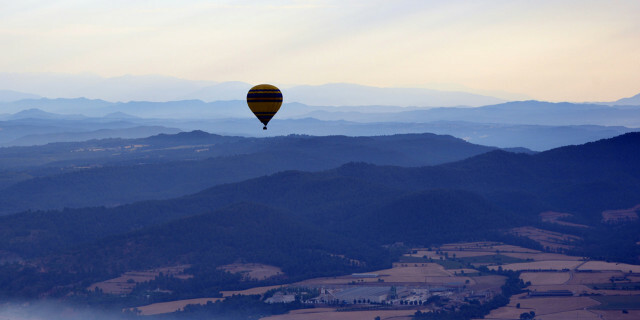 Observe endless peaks and vibrant villages from a private hot air balloon. 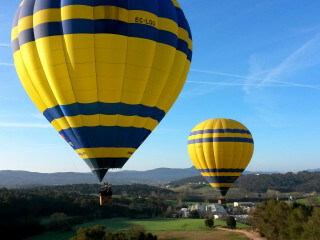 For groups of two people, you can try piloting the balloon yourself! 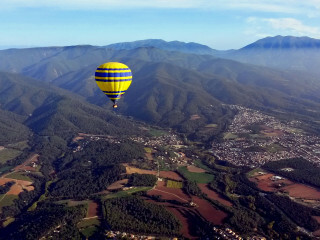 Experience a fresh perspective through an aerial panorama of the Pyrenees Mountains, lush forests, and the historical city of Vic.